Just thought it might be fun to share. I am nearly done, I think. 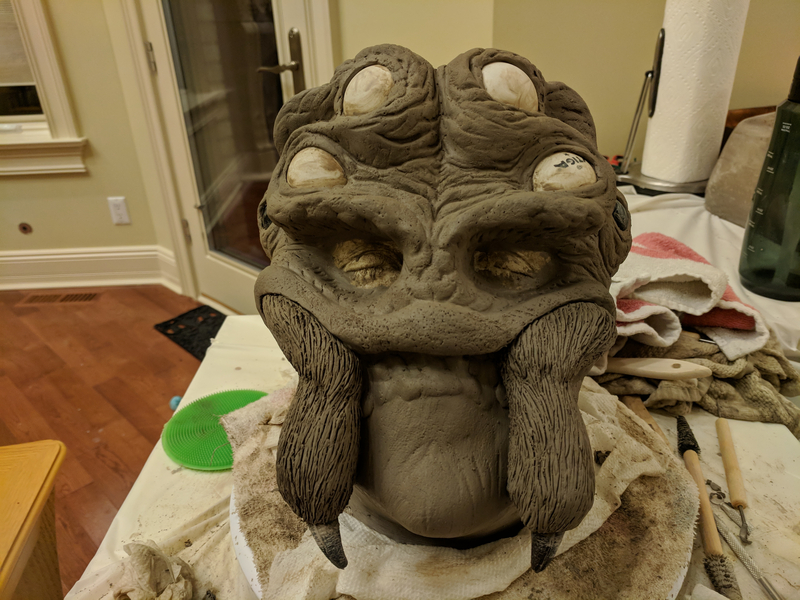 This is my sculpt so far for this Halloween. This is the first time I've done any kind of latex mask, and also was my first time doing life casting. (Big thanks to my family for doing it on me after I taught them how and made them watch videos). Then I made my mold out of UC30, which was also a first for me. 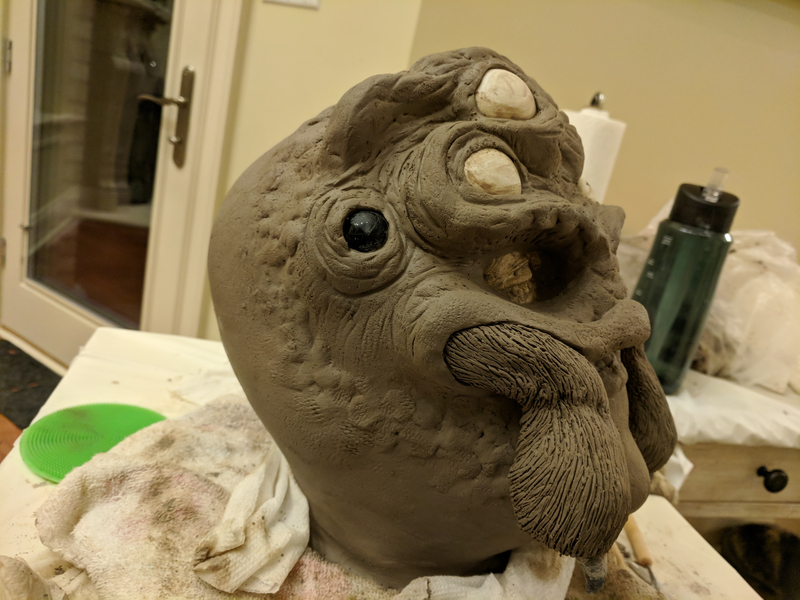 Then, watched the Latex Mask course part 1, and after about 20 hours sculpting, here's where I am at. The plan, if it works, is to leave the eyes open (I have black sclera contacts) and also cut out the mouth area for my own mouth/jaw. I am not sure how I'll trim the back yet, but I will also be wearing a wig, so, I have some options I guess. Thanks! I'm so nervous for the next part. Waiting for the Krylon to dry and watching part two of the course. When i am at this stadium, iam nervous every time, too. hihi. Sometimes it helps me, when i go away from my sculpture to get an emotional distance to it.